Foreign individuals can acquire property in Macedonia personally or through a registered local company in the same way as domestic legal entities.Construction land is alienated through a public tender procedure. Minimum bidding prices are set by the Ministry of Transport and Communications in compliance with the Construction Land Price Determination Methodology.The State Authority for Geodetic Works maintains authoritative data regarding land ownership. The State Authority for Geodetic Works (www.katastar.gov.mk) is an independent body in charge of conducting geodetic works and registering real estate rights. 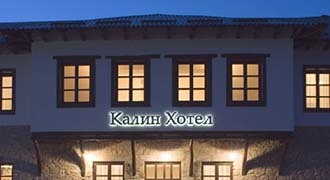 It operates through regional offices located in 29 cities throughout the country and the head office in Skopje. The registration of real estate rights in the real estate castrate is compulsory and is done ex officio or at the request of the client.